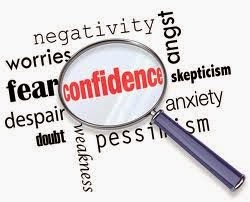 To progress in any way of life whether it is personal or professional we need to exhibit confidence. Without confidence it is just impossible to survive in this world. But how does confidence come, it originates from confident thinking, and results in confident action and the more you show your confidence in action the more it will increase and that is how people recognize your confidence. Confidence is not something that which we have to bring from outside it is there within us, and it is matter of choice, to be or not to be. So, when there are more advantages on your side when you are confident why shouldn’t you be confident? Then let us look at those ways that lead to incredible confidence. 1. Being Yourself: This is the first step to increase your confidence levels, never ever try to pretend to be someone else. Be your own self and show your skills at the best. 2. Don’t Bother to Please Everyone: Confident people don’t try to look for the approval of others and don’t try to please everyone. Be what you are and be confident about it, have you ever seen a chairperson of a big industry trying to lease every one or looking to for the acceptance of every one no, they are what they are and they are confident about their ways and decisions. And if you want to be confident just do it. 3. Learn to Listen and then Respond: Confident people don’t interrupt others in between the conversation and try to make their point. They first patiently listen to what the other person has to say, analyze it and then share their opinion. 4. Show Your Agreement Nonverbally: If you want to appear confident when you agree with people don’t always say yes more times instead nod your head in agreement. Maintain a balance and use nonverbal and verbal agreement methods. 5. Never Engage Yourself in any action Which You Will Have Guilt: Confidence that comes from within and from being what you are by your behavior and character stays forever. So, never indulge yourself in any kind of activities which will make you feel ashamed and fill your life with guilt. 6. No One Knows Everything: There is no person in this world who knows everything. So when you are posed with a situation when you don’t know anything just say that you are yet to learn or yet to know about it. Other than this, make it a habit that you keep yourself updating in knowledge and skills regarding your profession, or the work you are in. So, try out these techniques, be yourself, build confidence from within and prosper in whatever you do.